In the mid-1600s, Dutch explorers named the inlet at the northern end of Long Beach Island “Barendegat,” which means “Inlet of Breakers.” Shoals, located offshore from the inlet, create the breakers and are a dangerous hazard for vessels passing this section of the New Jersey shore. As seals occasionally winter on the shoals, they are known by some as Sea Dog Shoals. 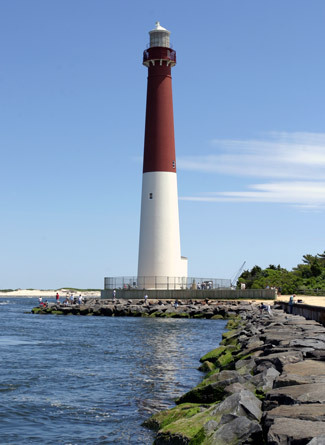 Backed by a congressional appropriation of $6,000, Winslow Lewis set out to build a lighthouse at Barnegat Inlet in 1834. A retired sea captain, Lewis was tapped by his friend Stephen Pleasonton, Fifth Auditor of the Treasury Department, to build several early U.S. lighthouses. A location some 300 feet south of the inlet was selected for the tower, which stood between forty and fifty feet tall and exhibited a light consisting of eleven lamps set in fourteen-inch reflectors. Henry V. Low was the first keeper at the station, serving from August 3, 1835 until his death on March 12, 1838. The light at Barnegat is emphatically a seacoast light, and should be of the first class. It has, in reality, no local condition to fulfill, beyond designating the position of the inlet to those wishing to enter. The channel into this inlet is so winding and so shifting in its position, that a light at this point is of no use as a guide, even to those familiar with the channel, much less to strangers. The inlet, therefore, is rarely entered at night; and when it is, those who come in could do so as well without as with a light. [The light’s] real purpose is to make known their positions to the mariners from over the sea, who may first make the land in its vicinity. A glance at the map will show its great importance in this respect. 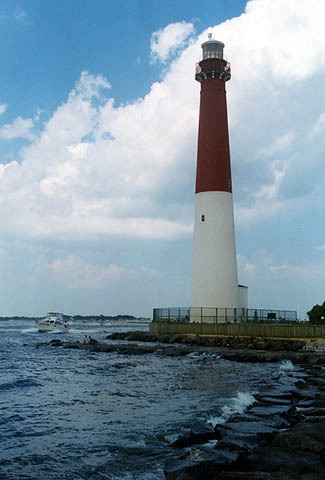 Situated at a distance of some forty-five miles from Sandy Hook, it forms, in connexion with Fire Island light, on the other side, the true mouth to the great commercial harbor of New York. Vessels bound to this port from Europe and from the south, often make the land in the neighborhood of this point, or between it and the highlands of Navesink; and were they warned in time, as they would be with a suitable light, they would often avoid the dangers of this part of the coast, which, in the absence of such a guide, prove formidable agents in the destruction of life and property. The evidence of this is borne in the winter’s record of wrecks, and still more strongly in the remains of lost vessels which are strewn all along the beach. 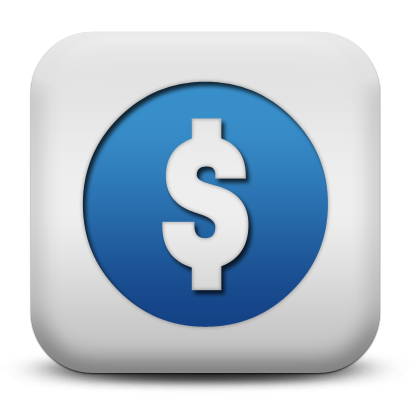 In 1856, Congress budgeted $60,000 for a first-order light at Barnegat. Meade designed the tower, while Lieutenant William F. Raynolds, who replaced Meade as the engineer of the Fourth Lighthouse District, supervised the construction. Meade would gain more notoriety just a few years later, when he led the northern troops to victory at Gettysburg. Before the lighthouse was completed, the former tower and keeper’s dwelling were lost to the encroaching sea. The southward movement of barrier islands and inlets along the New Jersey coast is a natural process caused by the combined action of waves and currents. The force of the waves hitting the beach excavates significant amounts of sand, which is then caught in the prevailing current that flows south. To protect the new lighthouse from the southward migration of the inlet, it was located some 900 feet south of the original tower, providing a buffer zone that would hopefully last many years. A temporary wooden tower, topped with the lantern room salvaged from the toppled lighthouse, was put into service until the new tower could be completed. Living quarters for keeper James Fuller were built into the temporary tower’s base. 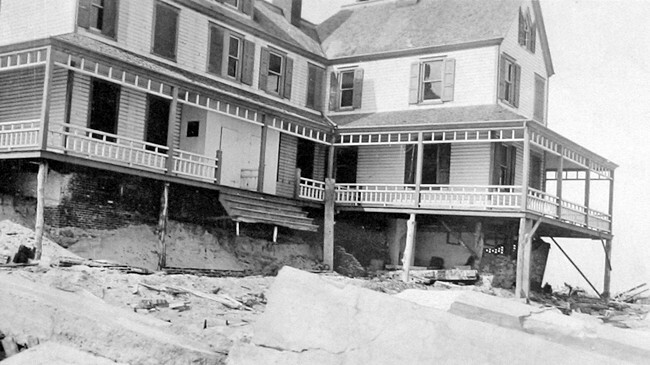 Work on the first-class tower began after a ten-acre parcel was purchased on July 1, 1857. The workers dug deep into the sand to set a granite foundation that would support the weight of the brick tower. The tower’s outer conical wall has a thickness of 4’6” at the base and tapers to a mere eighteen inches at the lantern room, while the inner cylindrical wall has a constant thickness of nine inches. 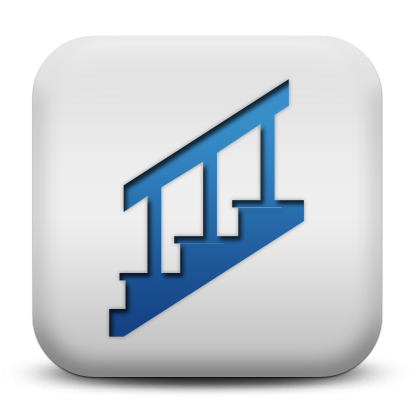 A spiral staircase with 217 treads winds its way up the lighthouse supported by a central shaft. 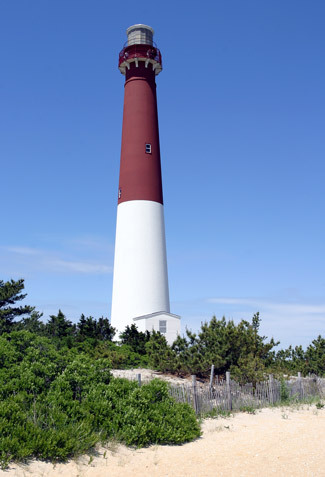 The height of the tower is 163 feet, making it the second tallest lighthouse in New Jersey after Absecon Lighthouse. The first-order Fresnel lens for Barnegat Lighthouse accounted for a quarter of the project’s $60,000 budget and was fabricated in 1856 by Henry-Lepaute of Paris, France. Its 1,027 glass prisms and brass mountings were shipped to New York on board the Arago in March 1857. When assembled in the lantern room, the lens had twenty-four bulls-eye panels distributed evenly around is central band. Weights, suspended in the tower, and a clockwork mechanism rotated the lens once every four minutes, producing a brilliant flash with a period of ten seconds. The light was activated on January 1, 1859 and was kept by the head keeper and his two assistants, who lived in accommodations constructed near the base of the tower. On August 30, 1886, the first assistant keeper was in the watchroom atop the lighthouse, when the tower lurched up and down and then swayed from north to south. The keeper rushed out to the gallery to see what was happening, but had difficulty doing so because of the motion of the tower. The keeper “was an old sailor, not given to being seasick, but such was the motion that he thought another person might have been nauseated by it.” The keeper said the lens rattled more than he had ever heard it do before, so much so that he feared it would come crashing down. The chief clerk of the Lighthouse Board was sent to Barnegat Lighthouse following the earthquake to see if the statements carried in certain newspapers regarding the effect of the tremor on the station were true. The accounts must have been exaggerated as little to no damage was found by the keepers or the clerk. In 1893, the keepers’ dwelling was altered and enlarged, creating a sprawling, two-story triplex capable of housing the three keepers then assigned to the station. 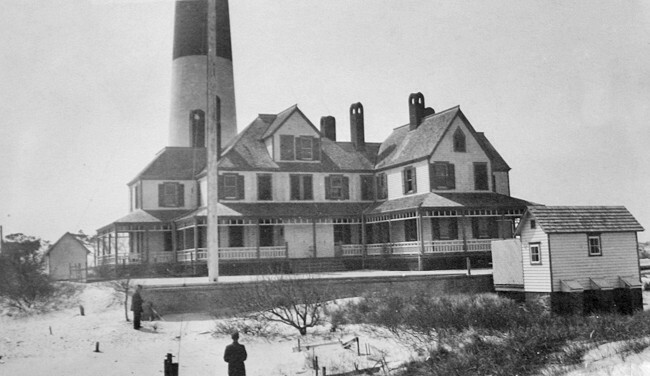 With the exception of two nearby hotels, the twenty-room dwelling was the grandest structure in Barnegat City, and coupled with the towering lighthouse, was an impressive sight. The winter of 1919-1920 brought a series of destructive storms to the area, and the high water mark crept an alarming 275 feet towards the tower and dwelling in just six months. Sandbags and a protective concrete wall were placed around the triplex, but they proved no match for the relentless pounding of the ocean. It was soon evident the dwelling was a lost cause, and the magnificent house was sold for $125 to salvagers who had the site cleared in just a few weeks. The battle to save the lighthouse from erosion had begun decades before when a number of short jetties were constructed perpendicular to the shoreline in 1869 and 1870. By this time, the distance between the lighthouse and the inlet had shrunk by half to roughly 150 yards. In 1924, a bill, allocating $100,000 towards the preservation of Barnegat Lighthouse, was introduced in Congress. 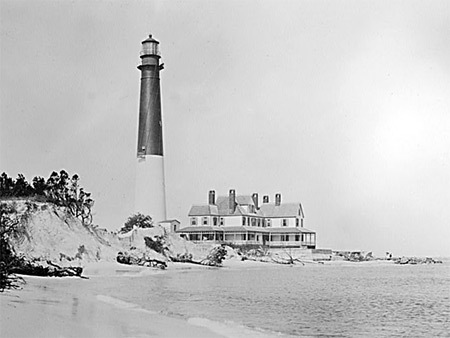 After much political wrangling, the sum had ballooned nearly five-fold, but the money was now earmarked for the vague purpose of “establishing and improving aids to navigation and other works as may be specifically approved by the Secretary of Commerce.” When the Lighthouse Bureau submitted a grossly inflated cost estimate for saving the lighthouse, by then known affectionately as “Old Barney,” the Department of Commerce refused to fund the project. The lighthouse was turned over to the State of New Jersey in April 1926, and the following year a lightship was placed eight miles offshore from the inlet, effectively eliminating the need for the onshore light. The Fresnel lens was removed in 1927 and taken to district headquarters on Staten Island. An acetylene lamp, followed shortly by an electric lamp, was used in the now minor aid to navigation. Andrew E. Applegate, the light’s last official head keeper, drowned in 1928 while fishing near the lighthouse with his son Robert. The father and son were sinking a net over the side of their boat when Andrew became entangled in the weighted net and was pulled overboard. Seventeen-year-old Robert frantically tried to drag in the net, but the weight was too great. Three men came to Robert’s assistance and helped raise the net, but efforts to resuscitate Keeper Applegate failed. Robert Applegate was appointed a lamplighter to look after the light following his father’s death. Keeper Applegate started as a second assistant keeper at the station, but soon worked his way up to head keeper. In 1924, Olaf Hansen, a local fisherman, reportedly forced his way into the lighthouse and “bestowed unwelcome attention upon Mrs. Applegate.” Keeper Applegate returned to the station as Hansen was leaving, and after learning what had transpired, seized a rifle and fired seven shots at Hansen. Four of the shots lodged in Hansen’s back, but he survived and was taken to the local hospital. Keeper Applegate was charged with assault with intent to kill, but was apparently acquitted as he remained in charge of the light for four more years. 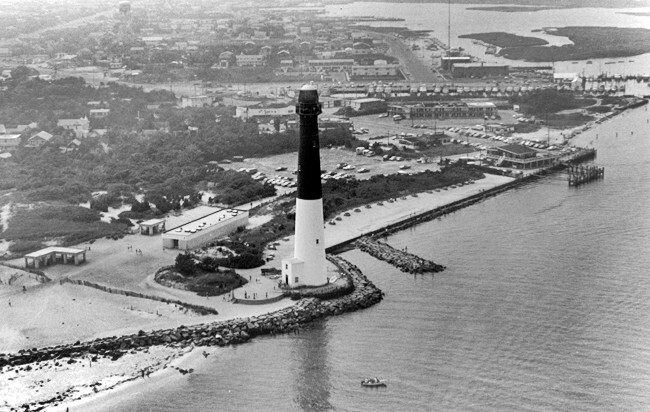 Although the Lighthouse Bureau had seemingly abandoned Old Barney, Mayor Butler and the citizens of Barnegat City and Long Beach Island were determined to fight until the tower fell into the sea or was safely protected. The community raised a sizable sum and constructed their own emergency jetty out of old cars, trucks, and baby carriages. At one point in 1933, the water was a mere two feet from the tower’s foundation at high tide. The federal government rejoined the battle for Barney in 1934, funding a $12,000 project to encircle the tower’s foundation with steel rings. Sand was first excavated up to a depth of twenty feet around the foundation. The steel rings, supported by iron rods, were then set in place and covered with cement. A semicircular curtain of steel piling was also driven thirty feet into the sand at a distance of twenty feet from the tower. These reinforcements proved effective during a severe storm that struck a few months later and helped the lighthouse withstand numerous subsequent onslaughts. 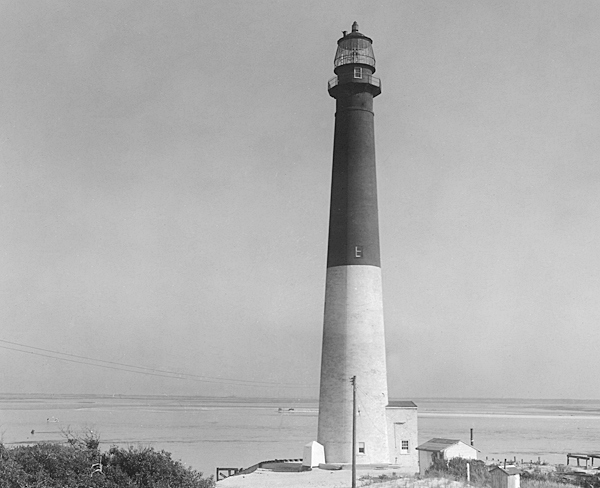 Barnegat Lighthouse was discontinued in 1944, but public interest in Old Barney continued. The first-order Fresnel lens was returned to the area in 1955, when it was retrieved from the Museum of Science and Industry in Chicago and given to Barnegat Light Historical Museum. 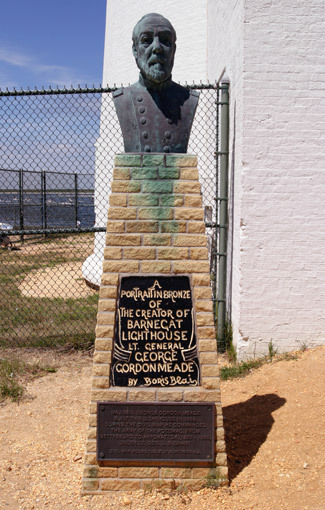 A bronze bust of George Meade was unveiled at the dedication of Barnegat Lighthouse State Park on July 11, 1957, one hundred years after work had started on the tower. A twelve-inch chunk of metal fell off the lighthouse in 1988, prompting state officials to close the tower to the public. Sidney Rothman, a local resident and unofficial keeper of the lighthouse, pushed for the tower to be restored and reopened. Over the next two-and-a-half years, $660,000 in grants was raised to repair the masonry, brick, and stone portions of the lighthouse, replace cast-iron sections of the gallery, and install a protective grillwork around the gallery’s railing. This worked allowed the tower to reopen to the public in June 1991. While the lighthouse was receiving attention, a new jetty was also built nearby. Barnegat Lighthouse will always be endangered as long as it remains so close to the inlet, but if the local community and visitors continue to take interest in the historic tower, embattled Old Barney will likely survive another war or two – just like its maker, General George Meade. In late 2008, it was announced that a new beacon atop the tower would shine forth at dusk on January 1, 2009, 150 years since the lighthouse was first activated. 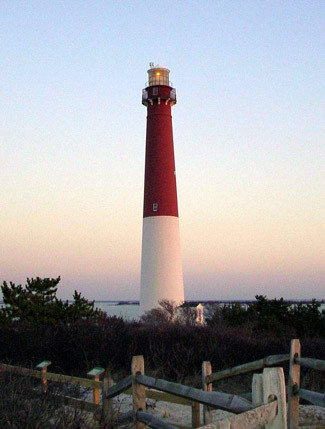 The non-profit Friends of Barnegat Lighthouse raised the money for the new $15,000 beacon through a combination of membership dues, public donations, and $6,000 in funds collected by selling certificates saying “I climbed Old Barney” for a dollar a piece. 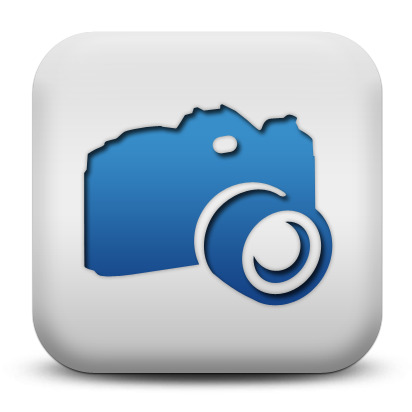 Long Beach Township Fraternal Order of Police Lodge No. 5, which uses the image of Old Barney in its uniform patches, made a $15,000 donation doubling the money the Friends of Barnegat Lighthouse had raised and allowing for the lantern room glass to be replaced as well. With thousands of onlookers watching in anticipation, the light was manually activated at 5 p.m. on New Year’s Day. In the future, an optical light sensor will activate the new light, manufactured in New Zealand by Vega Industries, each night at dusk. Once again, Barnegat’s trademark signal of a white flash every ten seconds can be seen along the New Jersey coast. Head: Henry V. Low (1835 – 1838), John H. Low (1838 – 1839), Ellen S. Low (1839), Garret H. Herring (1839 – 1841), Jeremiah Spragg (1841 – 1846), John Allen (1846 – 1849), John Warren (1849 – 1851), Charles Collins (1851 – 1853), Joseph H. Townsend (1853 – 1854), James Fuller (1854 – 1861), Hiram E. Horner (1861 – 1862), A.B. Brown (1862 – 1866), John Kelley (1866 – 1873), William C. Yates (1873 – 1875), Joshua H. Reeves (1875 – 1885), Thomas Bills (1885 – 1896), Abraham G. Wolf (1896), William T. Woodmansee (1896 – 1915), Clarence H. Cranmer (1915 – 1926), Andrew E. Applegate (1926 – 1928), Robert E. Applegate (lamplighter) (1928 – 1932), William E. Rothas (lamplighter) (1932 – 1940). First Assistant: James Cook (1858 – 1862), Caleb Parker (1862 – 1864), Ebew Rider (1864), John Berry (1864 – 1870), Thomas J. Adams (1870 – 1874), Israel R. Gaskill (1874 – 1875), William Horner (1875), John A. Parker, Jr. (1875 – 1877), Job Grant (1877 – 1880), George I. Burdsall (1880 – 1883), William T. Woodmansee (1883 – 1886), Ephraim W. Potter (1886 – 1888), William T. Woodmansee (1888 – 1896), Clarence H. Cranmer (1896 – 1915), Robert W. Sharp (1915 – 1916), John Grime (at least 1917), Frank L. Thompson (at least 1919 – at least 1920). Second Assistant: George E. Fuller (1858 – 1862), George H. Burr (1862 – 1863), William T. Brown (1863 – 1865), Gilbert Rulong (1865 – 1866), Curtis Q. Kelley (1866 – 1869), Charles M. Berry (1869), Charles M. Berry (1870), Josiah L. Collins (1870), Jesse R. Reeves (1870), Benjamin S. Stiles (1870 – 1871), Cassimer P. Burton (1871 – 1873), Joseph W. Adams (1873 – 1874), Stephen Driscall (1874), Richard Grant (1874 – 1875), Joseph E. Pattersen (1875), John S. Steel (1875 – 1877), George I. Burdsall (1877 – 1880), Frank Ridgway (1880), Leander Rulon (1880 – 1881), John C. Bennett (1881), Thomas W. Burdsall (1881 – 1882), Joseph E. Grant (1882 – 1883), Clarence H. Cranmer (1883 – 1885), Peter H. Langstaff (1885), Albertus Cranmer (1885 – 1886), Charles E. Pharo (1886), John B. Pulk (1886), Ephraim W. Potter (1886), Hugh Riley (1886 – 1887), Martin McCarthy (1887 – 1888), Clarence H. Cranmer (1888 – 1896), Samuel Soper (1896 – 1904), Elwood E. Benstead (1904 – 1906), John H. Rider (1906), Harry E. Spencer (1906 – 1908), William H. Schellenger (1908 – 1909), Lewis A. Connelly (1909 – 1911), Walter S. Raynor (1911 – at least 1912), John Grime (at least 1915), Benjamin F. Jones (at least 1917), Andrew E. Applegate (at least 1919 – at least 1925). “The Saga of the Barnegat Lighthouse,” Don Clark France, The Keeper’s Log, Summer 1994. Guarding New Jersey’s Shore: : Lighthouses and Life-Saving Stations, David Veasey, 2001. Sentinels of the Shore, Bill Gately, 1998. 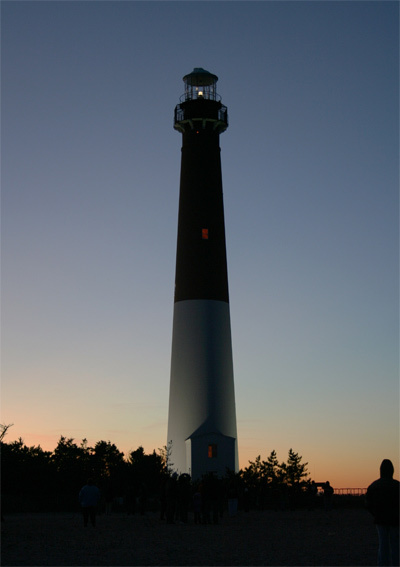 Located on the northern end of Long Beach Island in Barnegat Lighthouse State Park. 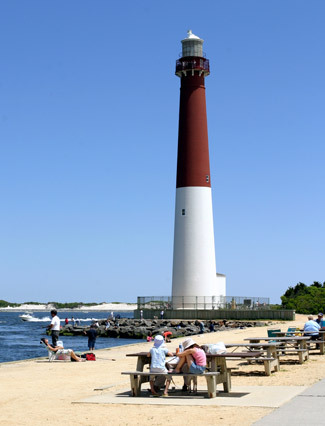 For a larger map of Barnegat Lighthouse, click the lighthouse in the above map. From Garden State Expressway, take Exit 63 and travel east on Highway 72 seven miles to Long Beach Island. 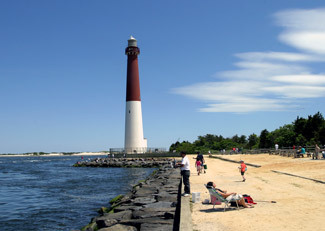 When Highway 72 ends, turn left onto Long Beach Boulevard and drive 8.5 miles to Barnegat Lighthouse State Park at the northern end of the island. The lighthouse is open from 10 to 4:30 daily, weather permitting, from April through October, and on weekends the rest of the year. 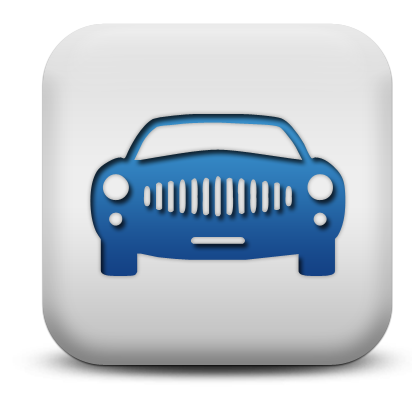 Call (609) 494-2016 for more information. 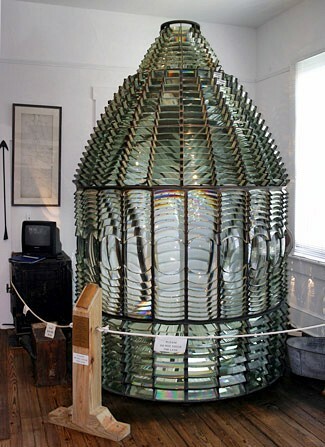 The first-order Fresnel lens used in the tower is on display at Barnegat Light Historical Society Museum in nearby Barnegat Light. 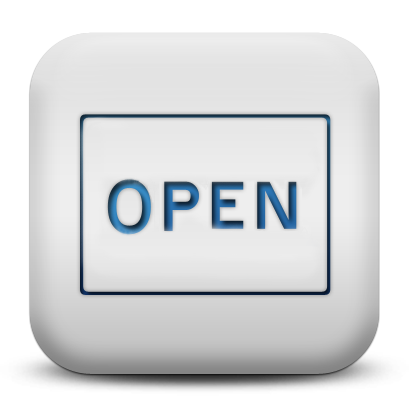 The museum is open in June, September, and October on weekends from 10:00 a.m. to 4:00 p.m. During July and August, the museum is open daily during the same hours. 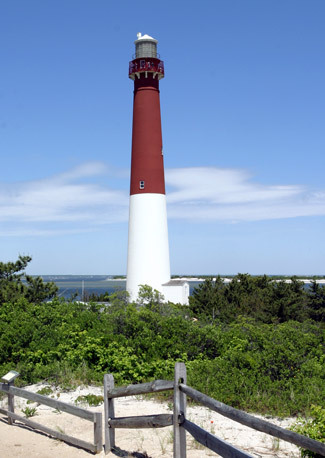 The lighthouse is owned by the New Jersey Department of Environmental Protection Division of Parks and Forestry and is part of Barnegat Lighthouse State Park. Grounds/tower open.